Tractor Show & Pulls this weekend! 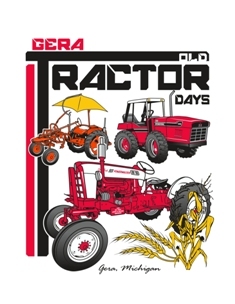 This weekend (June 18th & 19th) please join with the community at Reinbold’s Sales & Service at the corner of M-46 & M-83 for the Gera Old Tractor Days. Show admission is $5 on Saturday, $8 on Sunday or $10 for a 2-Day Pass (best value!). Children under 15 are admitted for free. Parking is free. We’ll have food available on-site. We also have pony rides, a hay ride wagon, a flea market area and a petting zoo. There will be nearly 100 antique tractors on display, a corn husking demonstration and of course, the ever popular tractor pulls! Antique Tractor Pulls start at 11am on Saturday. The big super modified farm tractors begin at 2pm Sunday. Last meeting before June 18 & 19 Show! The show is quickly approaching. We hope to see everyone in the field at Reinbold’s Sales & Service at the corner of M-46 & M-83 on June 18th & 19th. If you are interested in volunteer opportunities for the show or in helping to finalize plans, please join us at the Gera Tavern on July 7th at 7pm. This meeting will be mostly a final planning session for the show and all input and helping hands will be needed to make this a success. We are still seeking sponsors for our tractor pulls so if you or your family want your name included amongst the show supporters, please reach out and a club member will come to you and collect your donation. Don’t forget too to finish up all of those last minute projects on your tractors you plan to display, exhibit or pull during 2 days of fun at the Gera Old Tractor Days!